Many fishes have been introduced and are continuing to spread across the Everglades region, out-competing native species. Many species of fish originating from tropical and subtropical regions have been introduced into the freshwaters of the Everglades. Most can tolerate low to moderate salinities, allowing them to become established in brackish water estuaries. Introduced fish have been introduced primarily through aquarium and aquaculture facilities, while some species have been released on purpose in hopes of establishing breeding populations. 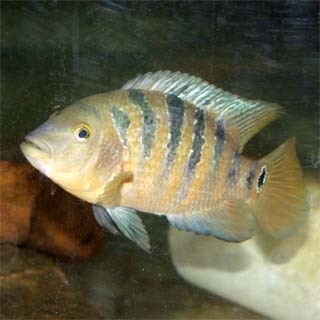 First collected from waters of the Everglades in 1983, the Mayan cichlid (Cichlasoma urophthalmus) thrives in freshwater as well as brackish and saltwater environments. It can also survive harsh environmental conditions including cold temperatures, drought, and floods. It feeds on small fish, snails, mosquito larvae, and macroalgae. Click here for maps displaying the range expansion of the Mayan cichlid in Florida. 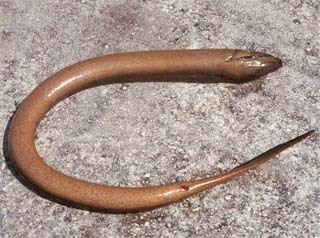 Asian swamp eels (Monopterus albus) were first observed in south Florida waters during the spring of 2000, just outside the Everglades National Park. 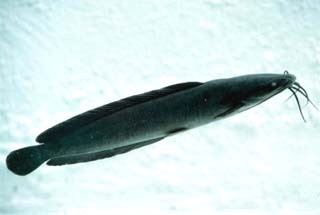 Reaching lengths of 3 feet (1 m), the Asian swamp eel is a nocturnal predator feeding on shrimp, crayfish, frogs, and other fish. An adaptation that may enable this fish to successfully colonize the entire Everglades region is that it is an air breather, making it possible for survival during low water levels and dry spells as well as being able to migrate short distances between bodies of water. 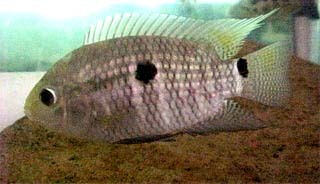 Originally from South America, the black acara (Cichlasoma bimaculatum) was first released into the open waters of Florida during the early 1960’s. They feed primarily on invertebrates as well as algae, detritus, fish eggs, and items from other minor categories. 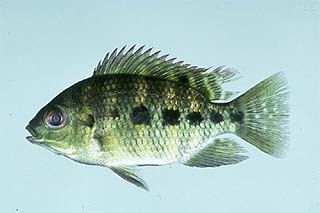 The range of the black acara is continuing to expand throughout south Florida due to its rapid rate of reproduction with spawning events occurring monthly. Click here for maps displaying the range expansion of the black acara in Florida. The walking catfish (Clarias batrachus), orginating in Asia, is capable of migrating overland during rainfall or at night between bodies of water. It can breathe air with lung-like sacs during these migrations consisting of walking over land on stiffened pectoral fins for several days at a time. The walking catfish range is rapidly expanding throughout south Florida, with dense populations located in Shark Valley and Anhinga Tracts within the Everglades. Click here for maps displaying the range expansion of the walking catfish in Florida. The pike killifish (Belonesox belizanus) was first introduced to south Florida in 1957 as a result of intentional release from a medical research program. It is euryhaline, residing in waters ranging from freshwater to full-strength seawater. 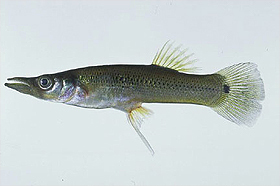 The pike killifish preys on native fish populations, including the mosquitofish (Gambusia holbrooki), and competes with native fish for other food resources. 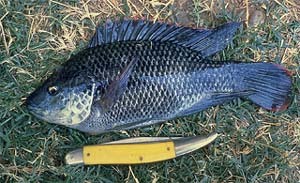 Other introduced fishes that have been documented in the fresh and brackish waters of the Everglades include the oscar (Astronotus ocellatus), butterfly peacock bass (Cichla ocellaris), blue tilapia (Oreochromis aureus), Mozambique tilapia (Oreochromis mossambicus), and spotted tilapia (Tilapia mariae). subtropical: area on the surface of the earth between tropic and temperate regions, approximately between 40 degrees N. and S.
brackish: somewhat salty, containing salt, where freshwater mixes with saltwater. aquaculture: cultivation of aquatic plants or animals for harvest and utilization by humans. Usually aquaculture refers to fresh water cultivation, while mariculture refers to seawater cultivation. larvae: immature form of an animal that undergoes metamorphosis prior to changing into the adult form. nocturnal: pertaining to or occurring in a night or each night; nightly. euryhaline: aquatic organism able to live in a range of salinities.